After experiencing Braxton Hicks the previous week, when my hind waters broke at 9am on Friday 28th October 2011, it was with some relief and not a little trepidation. At first, I thought I’d had a little accident, I ignored it but after 30 minutes I realised what had happened and phoned the hospital. I spoke to a midwife and was asked to go into Maternity Triage to be examined. While waiting to be examined, my fore waters went in the middle of the hospital corridor. We were seen by a midwife who confirmed that my waters had indeed gone and unless labour started naturally, to return at 7am the next morning to be induced. I had a couple of contractions overnight but nothing spectacular. It was just enough to cause both my partner and I too get very little sleep that night. By 7am the next morning we were back at the hospital, this time for the duration. The hospital was very busy and except to be told to get on a bed in Triage, I did not get seen for the next 2.5 hours. I was unable to have a pessary for some reason so the midwife gave me a membrane sweep and I started contractions immediately. It was now 11am so I started walking round the hospital to get things moving. I had irregular contractions throughout the afternoon which I coped with by using a Tens machine. By 6pm they started coming more regularly. By now I’d been fitted with two cannulas, one for the Syntocinon to advance the labour and the other for the saline drip and the antibiotics (to prevent infection as my waters had broken over 24 hours ago). At 7pm we were moved into one of the birthing suites, given the antibiotics and started using gas & air. Once the foetal heartbeat had been checked I was given the Syntocinon then pretty much left to it, until my temperature went through the roof. Everyone was worried that I had picked up an infection but it turned out that someone had left the room temperature at 27 degrees. No wonder I was hot! My contractions intensified and I started relying on the gas & air more. 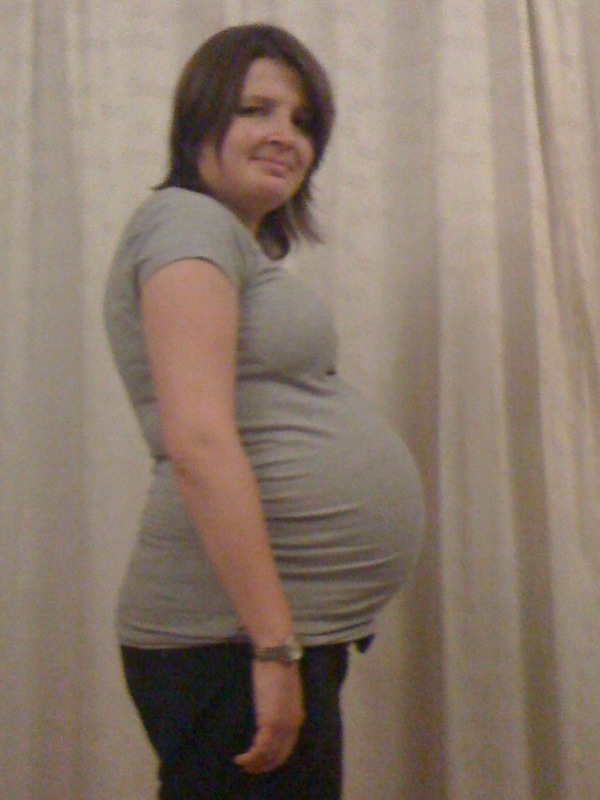 The baby was also head-butting my pelvis between contractions which was really painful. By this time it was 10pm and I had been in active labour for 2 hours but having strong contractions for the last 11 hours. A doctor was called in as the foetal heartbeat started dropping. He indicated that the Syntocinon may be causing the baby stress so they turned off the drip. 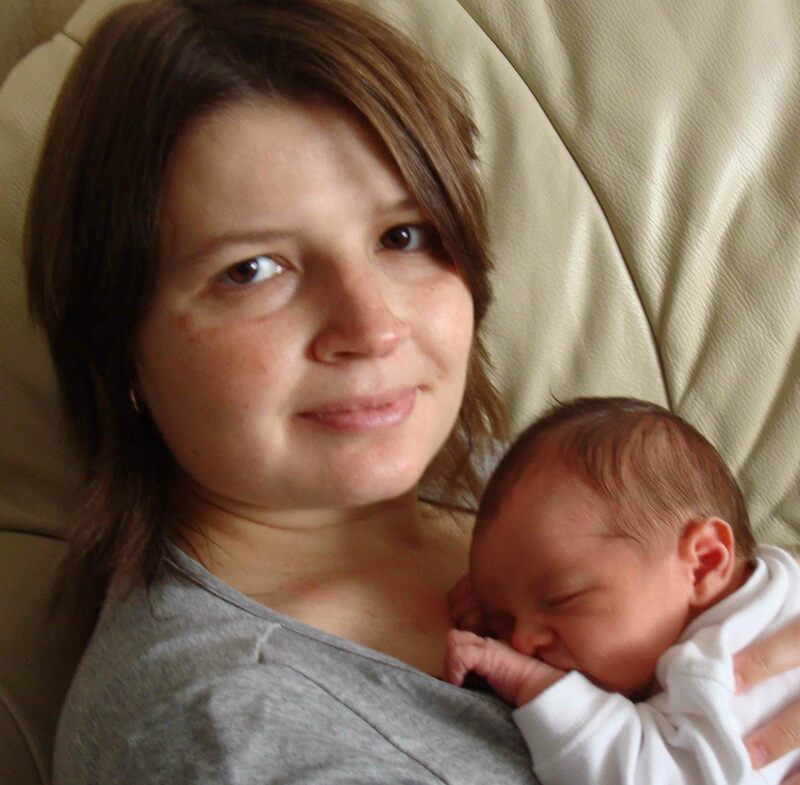 The heartbeat continued to drop so a decision for an Emergency Caesarean was made. By this time, I have to admit, I was relieved as I couldn’t take anymore. The thought of dropping off to sleep and then when I awoke my baby would be there for me was overwhelming. I was quite high on gas & air by this point and I could barely see the page when I signed my consent for the surgery. As I was trying to sign the form my partner had to point out that I wasn’t actually left handed, the shocked look from the Doctor…quickly placing the pen in the right hand. Job done, I’d be in surgery within 15 minutes. At that moment, I had the overwhelming urge to go to the toilet and I mentioned this to the midwife. She checked downstairs and realised that I was fully dilated. She informed the doctor that a caesarean was no longer required and that it would be a natural delivery after all. My plans were foiled… No chance of the easy out, I would have to push instead. I started pushing and the midwife told me off for putting more energy into shouting than pushing down. I got the technique soon after and the head started coming out. What seems like ages later, but was in reality only 1 hour and 20 minutes … the head was out. After this, everything seemed to happen really quickly and the next thing I know a baby is being placed on my chest and covered with a blanket. All I could see is an amazing head of hair and two beautiful eyes. 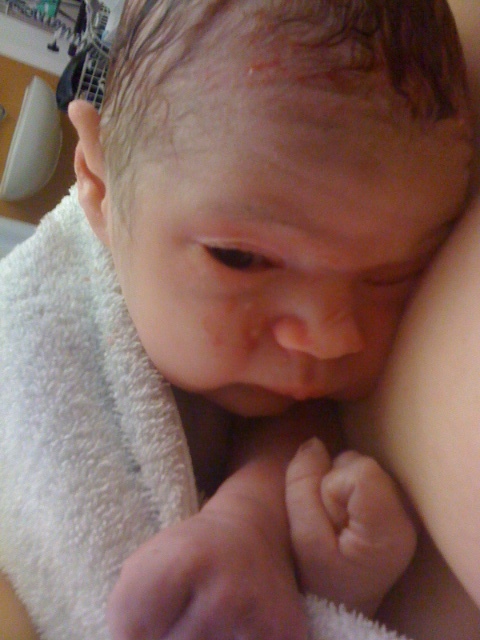 ‘What is it?’ I asked the midwife. ‘Dad, would you like to check?’ She replied. He was busy staring into the baby’s eyes the same as me. Spurred into action by the midwife he checked under the blanket. And it was a boy! Thomas James had been born. I had an active delivery for my placenta which I hardly noticed and 4 stiches. We were left doing skin to skin for an hour. It was such an amazing, exhausting, exhilarating and tiring experience, for both of us parents! Many thanks to all the staff at the maternity unit at Russell’s Hall Hospital, Dudley. You all do an amazing job!